Are you tired of Shopify’s expensive platform fees and other limitations? Don’t worry. We’ll help you find a better Shopify alternative to start your online store. Shopify is a platform that covers all areas of eCommerce almost perfectly. You can use it to make everything from a small online store to a dropshipping business with a few simple clicks. However, there are many people who aren’t happy with some of the limitations and features of Shopify, such as the lack of shop design customizations, expensive pricing, and transaction fees. You don’t have to settle for Shopify. There are many other eCommerce platforms that let you setup online stores quite easily. Keep reading to find out which platform is most suitable for your eCommerce business. 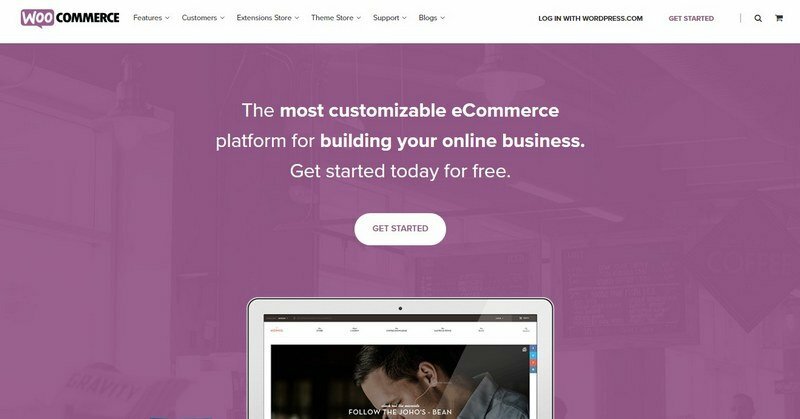 WooCommerce is a free eCommerce plugin for WordPress that currently powers more than 28% of all online stores on the web. It allows you to add eCommerce functions to your WordPress website, such as shop layouts, product pages, checkout systems, and shopping carts. Simply put, it turns a regular WordPress website into an online store. While WooCommerce is not the best solution for beginners, it’s a plugin that you can use to build a fully-customized online store that gives you more control over the website design and the overall shopping experience. Advanced customization is probably the best feature of WooCommerce. It allows you to build stores with your own unique designs with custom product pages and shop layouts using WordPress page builder plugins. Unlike Shopify, which limits your payment processing to a few payment gateway systems, WooCommerce lets you use any payment processing services you want to offer more checkout options. 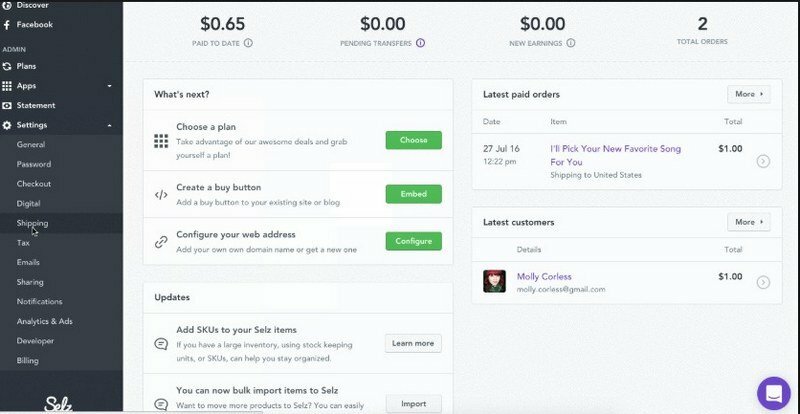 On Shopify, you have to pay a platform fee and a transaction fee for every sale you make, even when using an external payment gateway. With WooCommerce, you don’t have to worry about any of that. 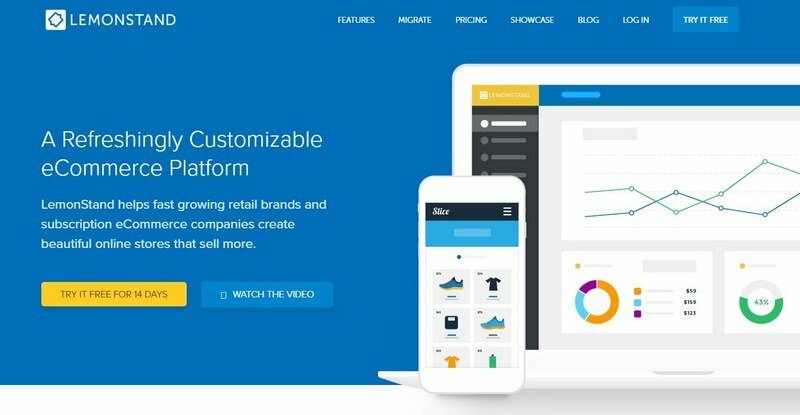 Selz is a powerful eCommerce platform similar to Shopify that allows you to setup your own online store with free hosting it at the same time. The platform is quite easy to use and it’s very beginner friendly. Also, it offers affordable pricing plans for shops of all sizes. One of the best features of Selz is its Free plan. Users can setup a simple store with up to 5 products forever free to sell small items such as eBooks and online courses. You can then embed these products and buy buttons on your own blog to process payments. Selz is most suitable for bloggers and marketers for setting up a small shop to sell their books and courses. With its free plan, you get to start selling without any additional costs or without needing any web design knowledge. You can also use Selz to sell products on your own websites by embedding buy buttons. This allows you to integrate on-site payment processing to let users buy products without having to leave your website. Selz also offers affordable pricing plans for bigger stores starting at only $17 per month. 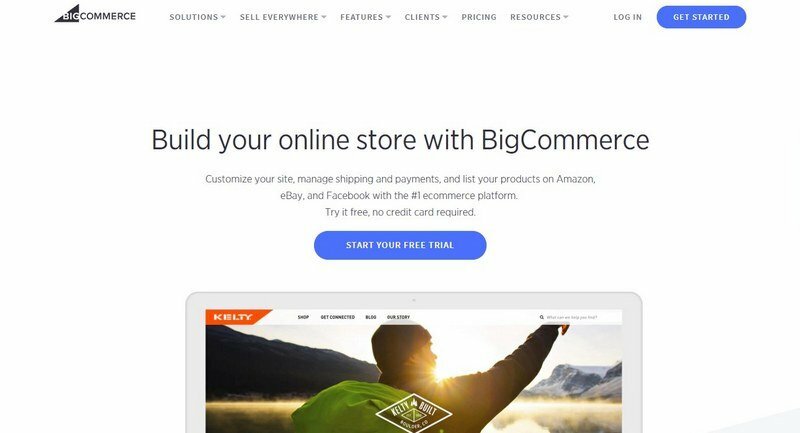 BigCommerce is one of the more advanced alternatives to Shopify that many businesses use to sell products across multiple platforms. With BigCommerce, you get to list products on Amazon, eBay, and Google Shopping as well as setting up a standalone online store. 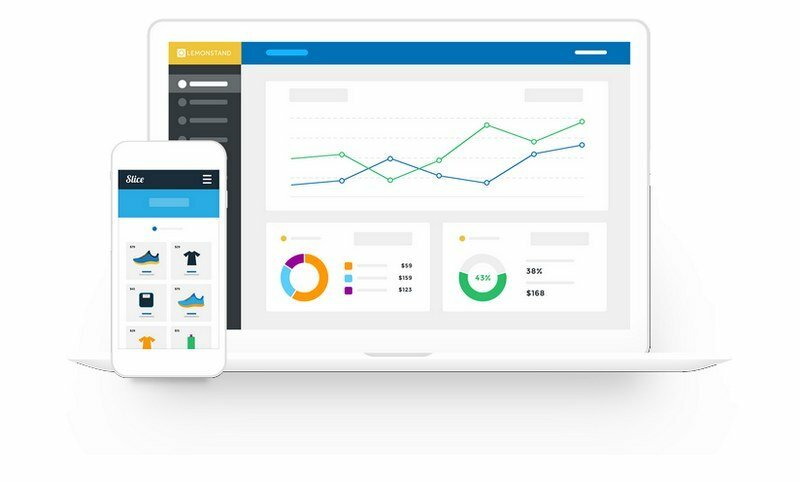 BigCommerce comes with lots of advanced tools for improving your store and sales, such as built-in conversion optimization tools and integration with lots of eCommerce apps. The biggest benefit to using BigCommerce is the ability to sell your products across multiple eCommerce platforms and social networks. With a BigCommerce account, you can sync your products on eBay and Amazon as well as Facebook and Instagram to drive more sales. Above all, unlike Shopify, BigCommerce doesn’t charge any transaction fees from your product sales. You only have to pay the monthly subscription and for your payment processors. Volusion is a fairly new eCommerce platform with a little over 30,000 active merchants on the platform. However, it boasts more than $28 billion in total sales made on the platform. Volusion comes with an onboarding process and a user-interface designed to attract complete beginners. It features quite a simple setup process and even comes with the ability to integrate your store with Amazon and eBay. 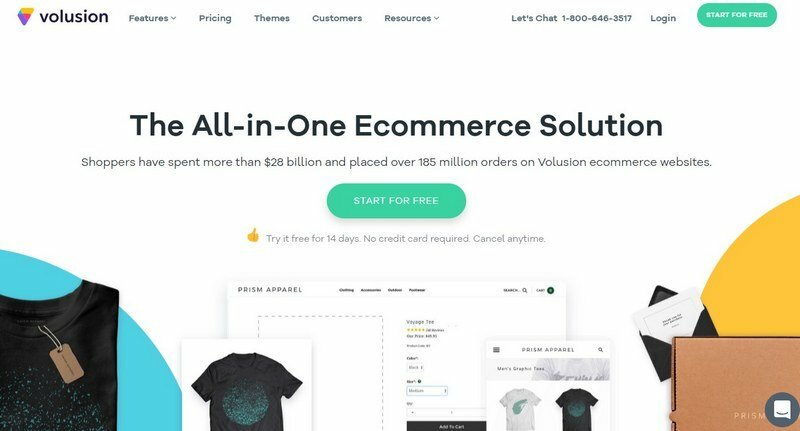 For complete beginners who are new to eCommerce and online shops, Volusion is a great choice since it offers extremely affordable pricing plans. It only costs $15 per month and when paying annually it goes down to only $13.50 per month. Volusion also features a beginner-friendly user interface where you can easily setup the shop and customize the design without any web design knowledge. It also lets you integrate multiple payment processors to let customers choose their favorite payment option when buying products. LemonStand is an eCommerce platform that’s most suitable for web developers and coders. In addition to traditional shop systems, product categories, and payment processors, the platform gives you access to a number of advanced tools for customizing the shop designs. 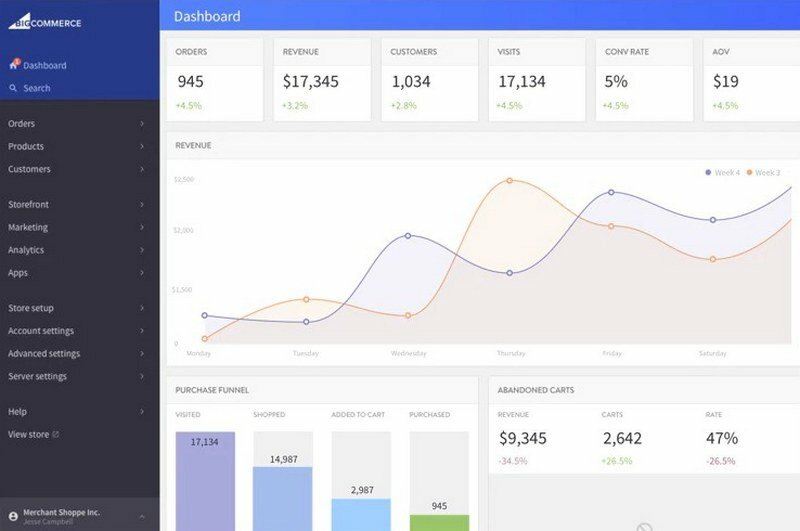 The platform gives you full control over the shop design by letting you customize the design using Bootstrap, React, Angular, or other front-end frameworks you’re familiar with. It also comes with lots of free and open-source themes as well. LemonStand is a great choice for setting up a smaller online store with products for one category or a selling a single product with multiple variants. The platform lets you choose from 95 different payment processors to setup a payment gateway that you’re most comfortable with. And LemonStand doesn’t charge any transaction fees. If you’re tired of using Shopify or BigCommerce, you can easily migrate your store to LemonStand using its built-in migration tools as well. Which is the Best Shopify Alternative? It’s difficult to decide a clear winner. Because it always comes down to which features you want to get from an eCommerce platform. For example, if you want complete control over your shop design, customizations, hosting, and SEO, then setting up a WordPress website with WooCommerce is the best approach for you. 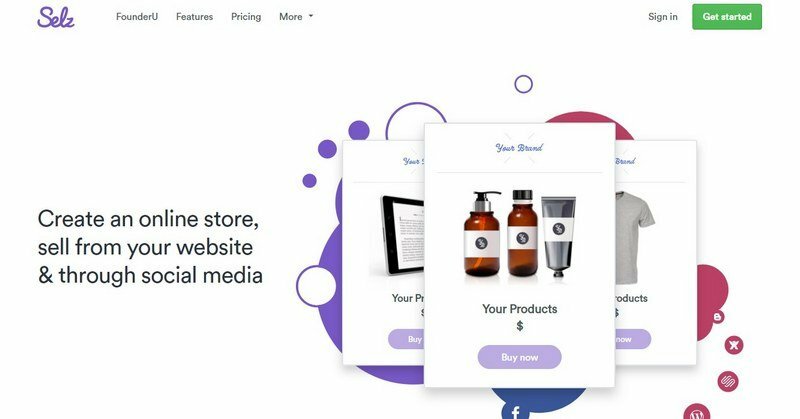 If you’re complete beginner looking for simplicity and beginner-friendly environment to setup a simple online store at an affordable price, then go with Volution or Selz. While Shopify is pretty good at what it does, there are plenty of other great eCommerce platforms out there that you can use to setup an online store on a budget or even for free. Be sure to test out these platforms before considering Shopify.